When Planning to Study Abroad, definitely the Europe will be one of your Destination choices. Apart from the Western Countries, Europe has the most top universities in the world. Though Europe is the Second Smallest Continent on the Earth, it has many of the world’s best educational institutions. Roughly 38% of World’s Top Universities are present in Europe. So most of the international students show interest to study in the Europe at one of the Top Universities in Europe. The UK Boasts Europe’s highest number of internationally ranked universities with 71 entries. The High-quality Standards maintained by the European Universities & Cutting Edge Research Facilities attracts students from all over the world. Apart from its high standards, the Universities in the Europe also offers a wide range of study programs including the full range of undergraduate Majors, plus Masters and Doctoral programs. With such a large selection of Universities, it is difficult to decide where to study in Europe. So to help the Students planning for further studies in Europe, we’ve compiled a list of Top Universities in Europe based on the QS World University Rankings 2016-2017. Nearly 348 European Universities are featured in the QS World University Rankings which is the primary department to issue rankings to the university. The Primary aim of the QS rankings is to inform potential undergraduate applicants about European universities based on a range of criteria, including entry standards, student satisfaction, staff/student ratio, academic services and facilities expenditure per student, research quality, a proportion of Firsts and 2:1s, completion rates, and student destinations. But the University Rankings vary depends on specific factors such as some rankings only focus on the research quality at a university, while others focus on teaching quality. So Students should not completely rely on the top university rankings and should consider other relevant factors such as internship opportunities, Language of instruction or study location. But getting admission in these Top Universities in Europe is not that easy, it is very competitive. You need to take the English Language Tests to prove their efficiency in the English Language for getting admission in European Universities. The Popular English language Tests whose scores have been accepted by the European Universities are TOEFL/IELTS/PTE. You must get a Good IELTS Score along with the Good Academics to get admission in one of the Top Universities in Europe. Through this Test Score, the universities analyze candidates ability to complete the course. Despite of Second Smallest Continent on the Earth, Europe claims many of the best educational institutions in the world. A total of 348 European Universities is featured among the world’s top 900 Universities in the QS World University Rankings 2016-17. You have endless choices of Universities from highly ranked research universities to smaller specialized European Colleges in Paris, Denmark, France, Sweden, Germany, and other European Countries. All these Universities in Europe offers exceptionally high academic standards and advanced research facilities. 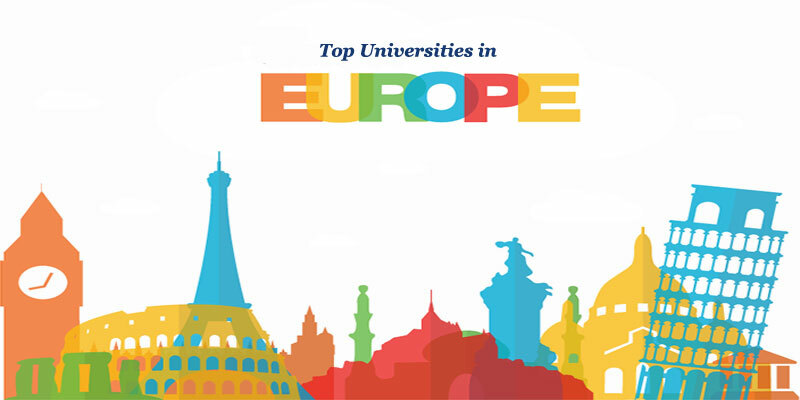 Here we have given the list of Top 10 Universities in Europe Categorized by Country, which is treated as best universities among students. This list is prepared by considering the student opinions, and ratings of the college. Université Pierre et Marie Curie. Ecole Normale Supérieure de Lyon. Kit, Karlsruher Institut Für Technologie.